In May 2015, Metro began operating two light rail lines serving the East End and Southeast communities. 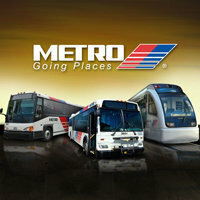 Those routes, along with an extension of the Main St. line, were part of the 2003 Metro Solutions referendum. Included in that referendum was also a nine mile commuter line connecting Southwest Houston to Missouri City along Main/90A. Despite its bi-partisan support, that route has yet to break ground…or even clear its final environmental stage. Fort Bend County is one of the fastest growing counties in the nation, and is projected to increase by 60 percent by 2035. According to METRO, 24,000 daily work trips are made along the 90A corridor between Fort Bend and the Texas Medical Center. That number is expected to jump to 32,000 by 2035. The Houston-Galveston Area Council (H-GAC) also estimates that trips along US 90A to all major employment centers, such as downtown Houston, Uptown/Galleria, and Greenway Plaza in Houston will increase approximately 37 percent in that same time period. That’s why I was overjoyed to hear that METRO’s Board recently voted to submit this project to FTA for project development. The project development phase is a preliminary stage, so it doesn’t guarantee full funding. What’s needed now is a robust strategy for the next legislative session to advocate for state funding for the 90A line, and the creation of a special district to spearhead this effort. Under the state’s Transportation Code, the legislature can create special “Commuter Rail Districts” (CRD). These Districts have the statutory power to develop, construct, own, and operate commuter rail facilities and connect political subdivisions in the district. The Fort Bend CRD, for instance, could accept grants and loans from the federal and state government. It could also issue revenue bonds and impose taxes. This district would function as the project leader and fiscal agent in partnering with METRO, local municipalities, private investors, Fort Bend Express and other key stakeholders. A lot has changed along Main/90A since 2003. The 90A line should definitely stop in Missouri City but it shouldn’t end there. Constellation Field in Sugar Land has become a major local attraction, and the Imperial Market development will break ground later this year. Combined, they will be a hub for Sugar Land’s retail, entertainment, residential and office growth. As such, having the 90A commuter line terminate at Imperial Market (or even the Sugar Land airport) makes a lot of sense…assuming they’re willing to coordinate with the CRD. Additionally, Missouri City’s residential growth and development has steadily drifted towards SH6 in recent years. In addition to the 90A route, we should also examine the feasibility of having a Hillcroft spur with stops around the Fountain of Praise/Fountain Life Center, Chasewood/Briargate and traveling adjacent to the Fort Bend Tollway before terminating on SH6. Not only would that route help to spark needed economic development in key East Fort Bend communities, it would also serve commuters from Fresno, Sienna Plantation and Riverstone. This “Hillcroft Spur” could function as a Bus Rapid Transit alternative to rail, at least initially, and potentially replace the 2 METRO Park and Rides in Fort Bend. Finally, the state legislature needs invest in urban and suburban transit. We’re not going to be able to adequately address traffic congestion in this state with more toll roads. According to the American Public Transit Association, commuter rail annually yields $5.2 billion in economic and societal benefits. Those benefits are often greater than the initial investment and include cost savings from avoided congestion, mitigation of traffic accidents and tax revenue generated. These projects are also dynamic job creators and economic development incubators. It’s time that we get the right people at the table to brainstorm innovative mobility solutions in Fort Bend, and finally make the METRO 90A/Southwest Houston commuter line a reality. 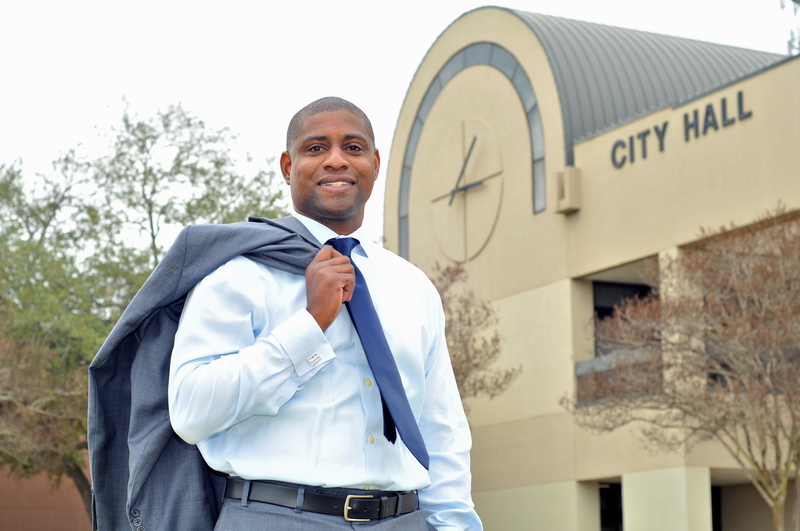 Steve Brown is a former Chair of the Fort Bend County Democratic Party and a past Director of Government Affairs for Metro. Here’s a story from the first of the public meetings Metro is holding on the proposed US90A rail line to Fort Bend. Planners of a proposed project to extend light rail service from Houston to Missouri City are hopeful about securing $1 million federal funding for the undertaking. Kimberly Slaughter, senior vice president of the Metropolitan Transit Authority of Harris County, said U.S. Rep. Al Green has been pushing for the funds to be allocated from either this year’s or next year’s presidential budget. The plan drew loud applause from those attending a Metro public meeting Tuesday night in Missouri City that was held to seek public comments as the authority prepares a draft environmental impact statement as part of its effort to seek federal funding for the project. “Not a day goes by that I’m not asked by someone, ‘Mayor, when are we going to get on the train? '” Owen said. Although the current proposal wouldn’t stretch the line beyond Missouri City, mayors Leonard Scarcella of Stafford and Joe Gurecky of Rosenberg also have been pushing for light rail to be expanded further west into Fort Bend County. For sure, the projected ridership of the line would be far greater if it extended into Sugar Land, which is where most of the people are. Metro doesn’t operate in Fort Bend and would need to be brought in to collaborate in some fashion that’s not fully defined, but clearly there’s ample support for this to happen. We’ll see how it goes. In related news, as noted earlier, Metro has received the $14 million it was owed by CAF from their settlement, and PDiddie wrote up his account of meeting with Metro folks at the Rail Operations Center. Which is right across the street from the Fannin South station, which is where the US90A line would meet up with the rest of the light rail system.